Most homeowners who live in cold-weather climates know the risks of burst pipes during the winter. However, homeowners should also consider how to prevent water damage in their house during the summer. Many people do not realize that water damage can occur at any time of the year. All homeowners must properly inspect their homes to take care of any leaks or early signs of summer water damage to prevent the problem from getting worse. There are different types of water damage that are most common in the summer—here’s what you need to know about them to keep your home safe, and some helpful water damage prevention tips. Air conditioning and window units can be a source of water damage for your home during the summer. While it may seem impossible to cool off from the summer heat without air conditioning, you still need to be careful about how much condensation it produces. Through general operations, these A/C units can create excess moisture that can lead to the growth of mould, and they can leak inside your home, damaging your floors and carpets. Even if you have a window unit, you need to ensure that the water drainage pipe is aimed outside the window to prevent the buildup of condensation and liquid in your home. The drain lines should be properly cleaned out each year to ensure the water flows out without any obstruction. You can clean the line yourself, but it may be best to call a professional water damage team to clean up the areas where water has leaked, just in case water has seeped into areas you cannot see. A lack of rain and severe heat can lead to dried-out soil. Dry soil is loose, so pipes have more room to shift around. Older pipes that have rust or wear and tear can break as they shift in this loose soil, which can cause leaks around your home. Although this is unlikely to occur inside your house, burst pipes can send water seeping into the foundation around your home. Like everything else in your home, pipes only last for so long and will begin to wear out with time. Too much rust on pipes can make them vulnerable to bursting as they expand and shrink during the changing seasons. Have your pipes inspected and replace the ones that are weak or rusty as a precaution to prevent water damage to your home. This investment will save you a lot of money, as dealing with water damage in your home can be expensive. Your sewage pipes present an obvious risk for water damage. Since these pipes have an outlet to release pressure, the chances of flooding or a backup are higher than with a burst pipe. Other pipes in your home can become clogged as well, such as water pumps, which can lead to a buildup of pressure. To prevent water damage in your home, be sure your sump pumps are working properly. Regularly inspect the float, motor, and outlet of your pump and make sure the outlet pipe is not damaged. Be sure it is pointing away from your home as well. Summer water damage prevention is important to protect the investment you’ve made in your home. Here are some helpful tips so you can keep your home safe. If your gutters are clogged and there is heavy rain, this water can build up and spill into your home’s foundation through your roof or into your basement. This summer, take the time to clean out your gutters, or call the professionals if your roof is too high to reach. Many of your home’s water pipes are hidden behind your walls and under your floors. If there is a leak, you may not know until it’s too late and water has spread to visible areas. By keeping an eye on your water bill, you can see if something looks unusual. If the cost is suddenly higher than normal, you may have a leak. This apparatus should be checked annually by yourself or a professional. Make sure to test it during storms to make sure nothing is broken, or that there are no clogs. A leaky pipe under your kitchen sink might seem harmless. 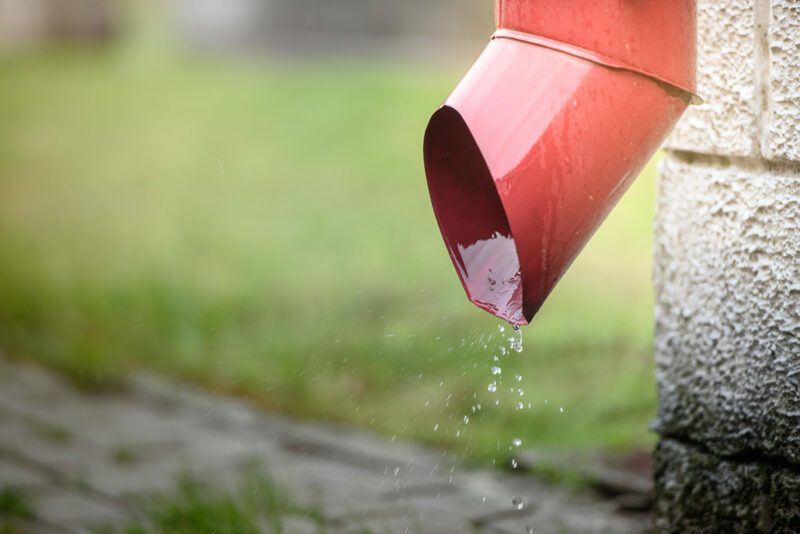 Many homeowners will simply put a bucket underneath the pipe and leave it that way. Unfortunately, leaks can cause other problems like mould growth and slipping hazards. Instead of risking it, fix small leaks right away to prevent them from becoming bigger, more expensive problems. Make sure all your doors, windows, skylights, and vents are properly sealed to keep out water and wind. If you are leaving for a long time, shut off the gas to the water heater. If you notice a problem and need water damage restoration in Toronto or the GTA, Flood Services Canada can help you. We provide trustworthy and effective water damage restoration services and our professionals can prevent future damage to your home caused by damage you cannot see. We can also help you settle with your insurance company. We deploy our quick-response teams across Toronto, Oakville, Ajax, Whitby, Georgina, Barrie, Mississauga, and Lakeshore to help our customers when they find themselves in a tough situation. We’re ready to provide 24/7 sewage, water damage, and flood cleanup services and will use the best techniques, personnel, and technology to ensure your home or business is clean, safe, and dry as soon as possible. For a water damage restoration company near you, contact us at (416) 302-2107 to learn more about our water damage cleanup services, or use our emergency hotline at (416) 999-3930 to get our rapid-response teams deployed to your location.